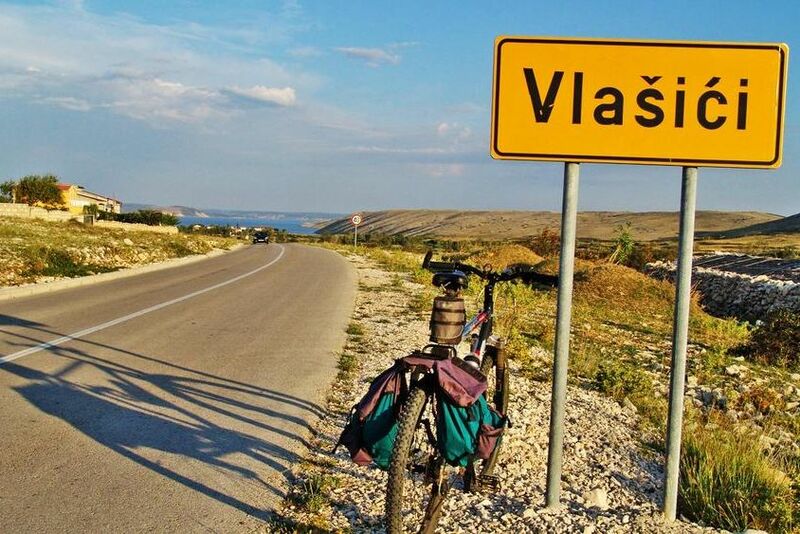 The island of Pag is a perfect island for bike riders of all ages and levels, marked by its length, the rugged coastline and, unlike most of the Adriatic islands, its relatively low configuration. 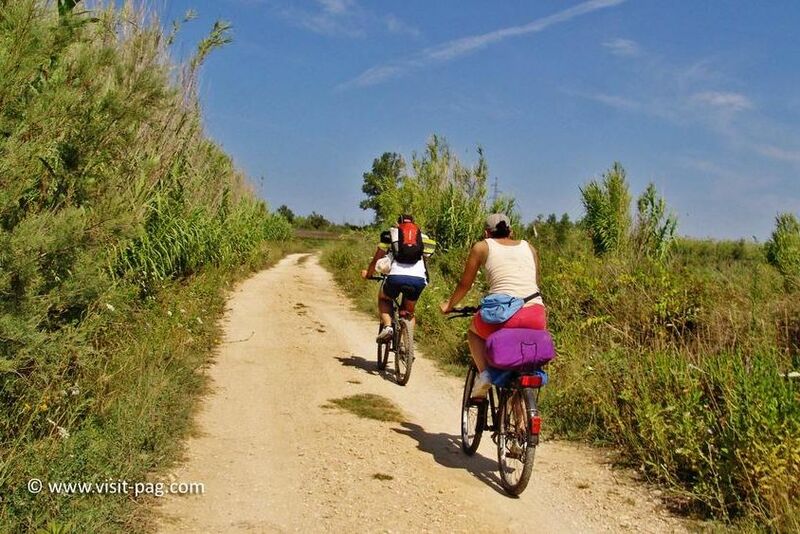 So road cycling enthusiasts will find kilometers upon kilometers of paved roads. 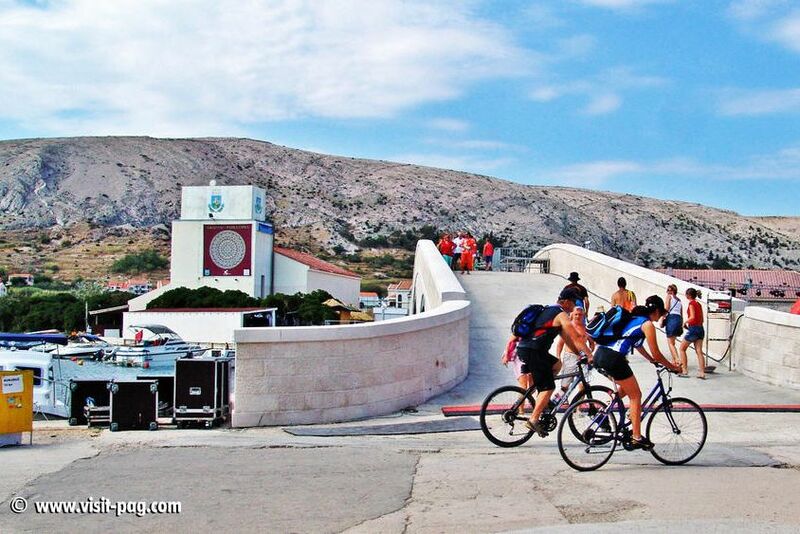 For the more ambitious, we recommend ride across the entire length of the island, from the Pag Bridge to the village of Lun, extending for over 60 kilometers in one direction. 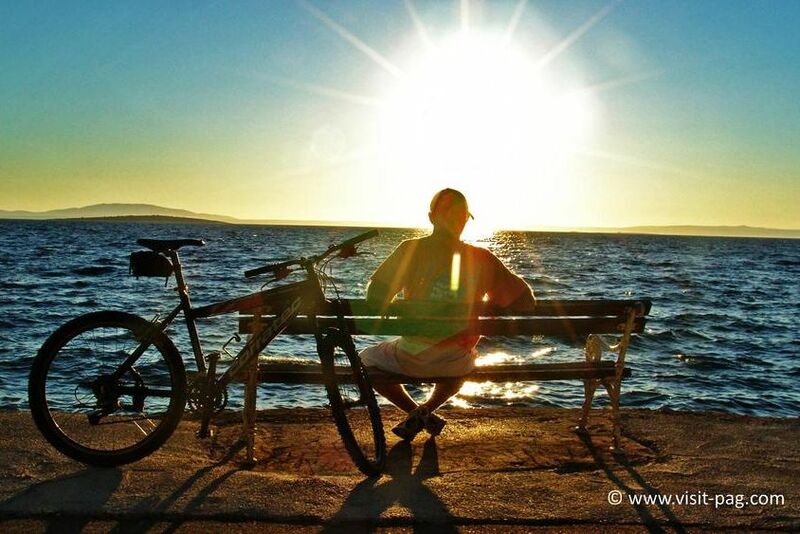 The views are truly wonderful and places to rest and cool down are frequent. 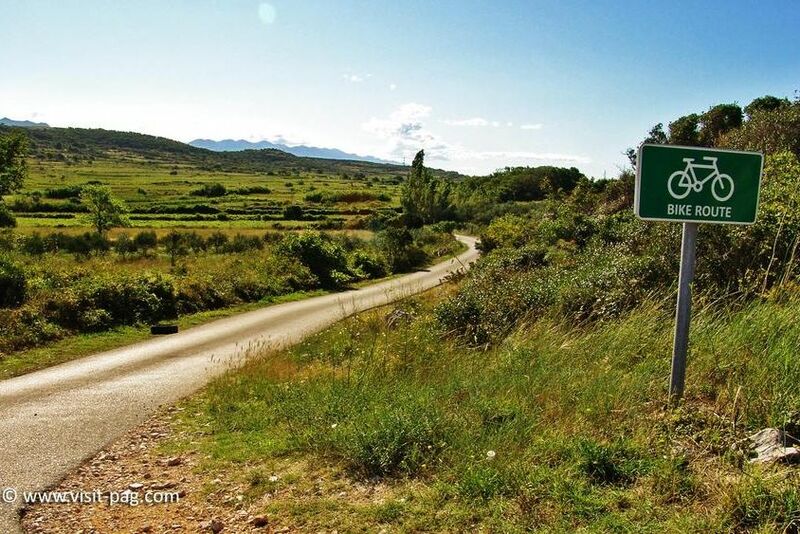 You just need to avoid periods of dense car traffic. 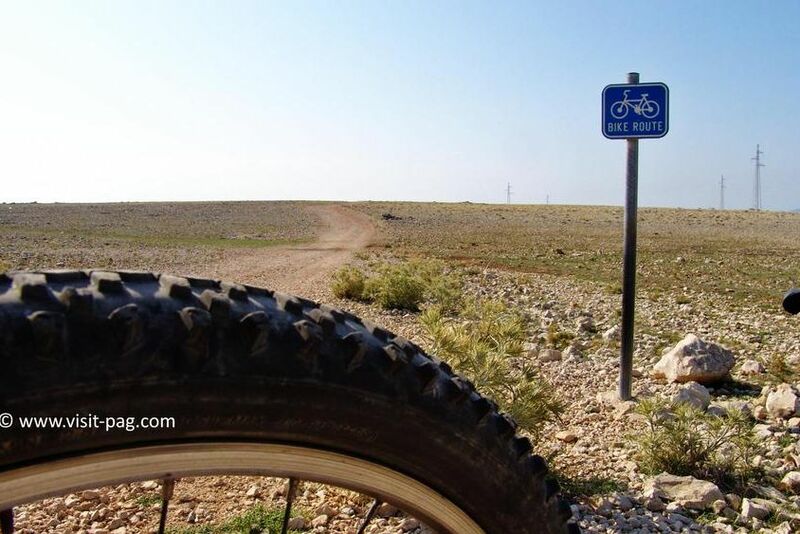 The unpaved "off-road" and "mountain bike" trails are well marked and the landscapes they are lead through are even more breathtaking. 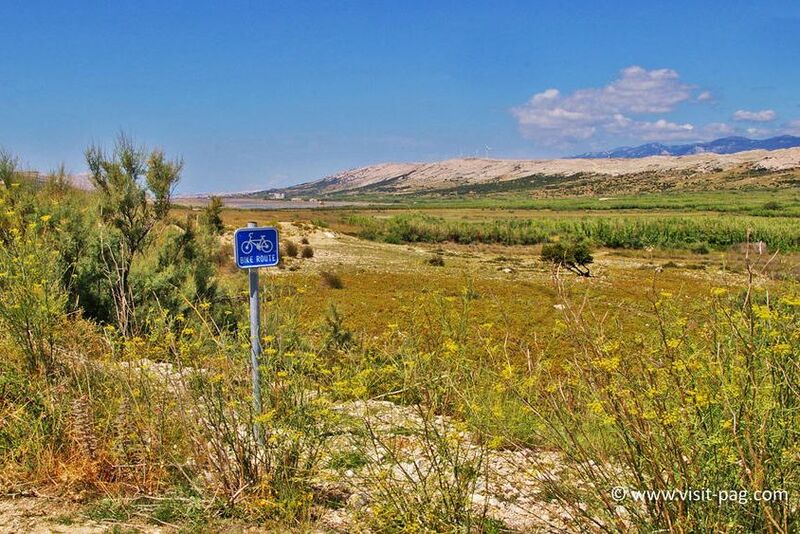 There are more than 120 km of such cycle routes where the wild rocky terrains alternate with the lush green fields, while the dry stone walls alternate with small forest oases. And the refreshment in the form of a dip in the clear blue sea is almost always at hand. 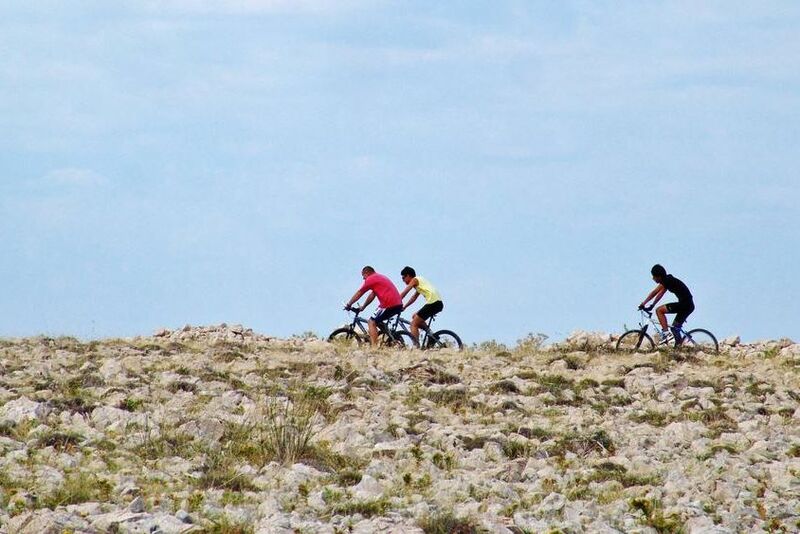 For the less ambitious or families with children we recommend short trips to nearby beaches. Do not forget to bring enough liquid. 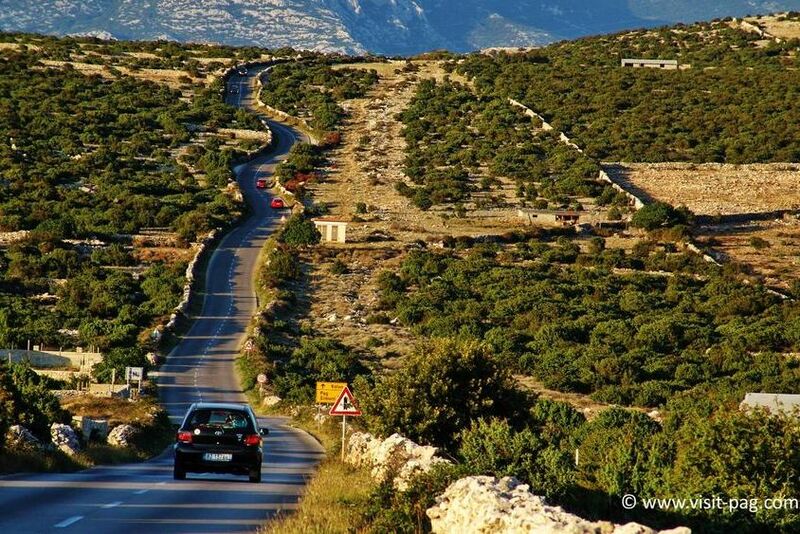 When you are on the island of Pag, it is really better to forget the car and indulge in the pleasures of an active holiday.